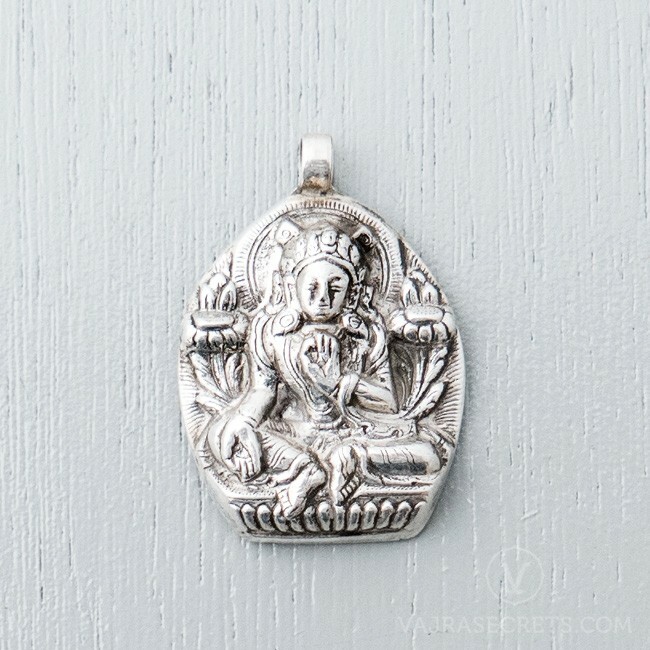 Handcrafted by master Himalayan silversmiths, this sterling silver Green Tara pendant is highly recommended for anyone who loves all things simple and rustic. Ever ready to spring to our aid, she is beloved for her ability to swiftly overcome problems and dangers even in the most difficult situations, and enables us to traverse life's paths fearlessly with her at our side. 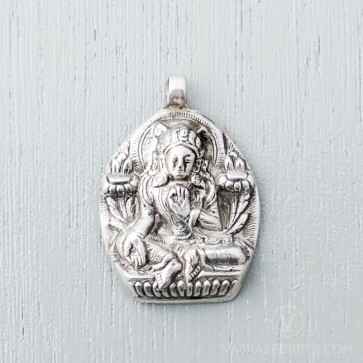 Bring Green Tara's compassionate energy and blessings everywhere you go with this sterling silver pendant handcrafted by master Himalayan silversmiths. Highly recommended for anyone who loves all things simple and rustic, and can be paired with a silver chain, leather cord or even a blessed Protector String for additional protection.